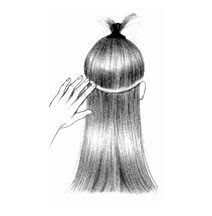 Starting at the lower back section of your head, use a tail comb or index finger to divide (horizontally part) your hair, at the lower back of the head. 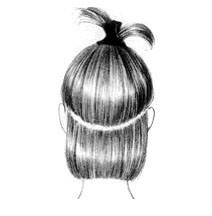 For example just below one ear to the second ear. 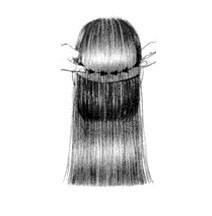 Also, you can start parting even lower, as low as you want to place the first weft. 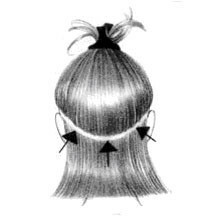 Clip in Hair Extensions should be attached from the bottom up. 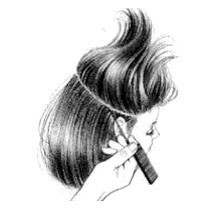 Starting at the lowest point on the hairline, and using a tail comb or your index fingers, create a part where you wish to section off the hair. 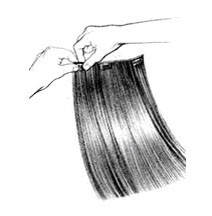 Take the first weft from your Clip in Hair Extensions Set. Then open all the clips so they are ready to be inserted into your hair. Insert the opened centre clip just below the parting. 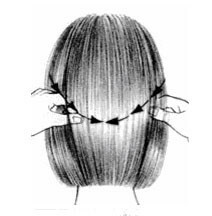 Insert the snap clip on your hair not on the raw scalp. Snap the clip shut, so it grips your hair. Repeat with the remaining clips. 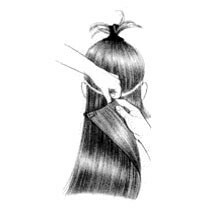 Now that the Clip in Hair Extensions are attached, run your fingers along the weft to make sure it lies flat against your head along the entire width. 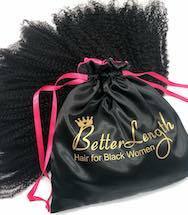 If there are any gaps, correct this by snapping the clip open, lifting it off hair and repositioning it so that the weft lies flat. 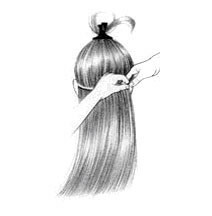 To remove Clip in Hair Extensions, snap open all the clips and gently lift up and away from your hair. Never try to remove a weft without first opening all the clips.